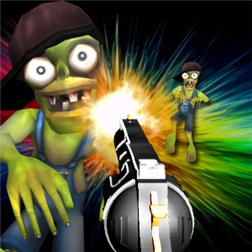 3D Zombienstein is a fun and surprisingly entertaining free game on the Windows Phone Store for Windows Phone 8 and 7 users. From Brutal Chase’s author, here is 3D Zombienstein! A bunch of evil aliens beamed down and started causing panic on the Earth. Their first part of the plan: capturing humans and turning them into zombies, so that they can regain control of our planet. Your mission? Shoot shoot shoot! Defeat all the aliens and zombies and rescue as many hostages as you can in the best free shooter in Windows Phone. Written by: Hyde13 on November 1, 2013.